Just as the above video isn’t your typical car commercial, the 2016 Honda HR-V isn’t your typical car. It’s entertaining, insightful, spacious, and leaves you wanting to know more about all the HR-V has to offer. First and foremost, the video begins with about twenty people flooding out from the four doors of the vehicle. While they’re definitely not wearing seatbelts and were crammed in there like a real life version of Tetris, it doesn’t take a rocket scientist to read behind the lines and conclude how roomy the vehicle’s interior is. And that coordination. You almost have to wonder how many takes they took to get the choreography just right. With the fluttering of their jackets, they precisely spell HR-V (hyphen included). It was almost too perfect. Now, we’ll discuss the one-of-a-kind features the 2016 Honda HR-V can offer you. We’d like to introduce you to Honda’s versatile Magic Seat®. With a combined total of 58.8-cubic-feet of cargo space, the issue of not being able to fit an item into your vehicle is history. Arranging the seats in Tall Mode allows you to fold the backseat upwards, awarding you nearly four feet of vertical space from the floor to the ceiling. 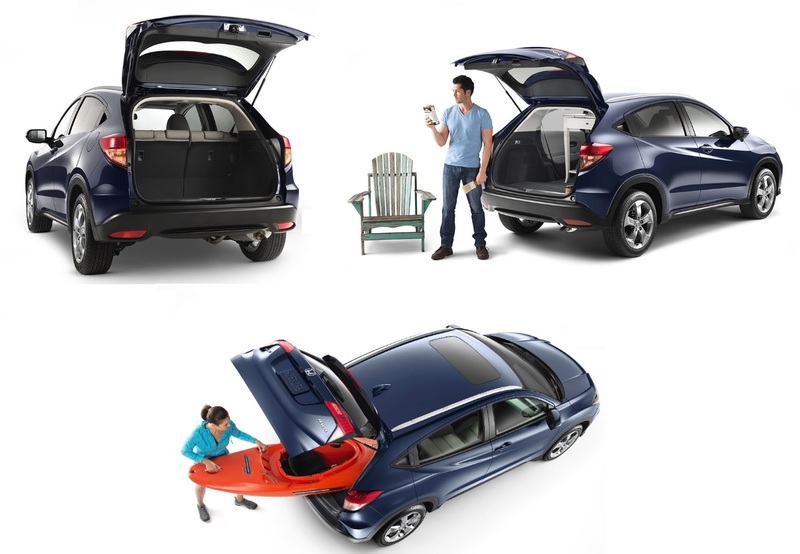 Utility Mode increases trunk space by allowing you to fold the backseat frontwards. Then there’s Long Mode, where you can fold down the passenger side front and back seats to fit cargo up to eight feet long, such as a kayak or a surfboard. The base model offers more features than any other vehicle base model we’ve come across. Besides the magical seating configurations, sliding sun visors are an avid invention for drivers who are constantly on the road. No matter the time of day, the sliding sun visors provide extra coverage from the sun, preventing possible view obstructions while driving. The speed sensitive volume control (SVC) compensates for vehicle sounds by increasing your stereo’s volume as you drive faster, then decreasing it as you slow down. 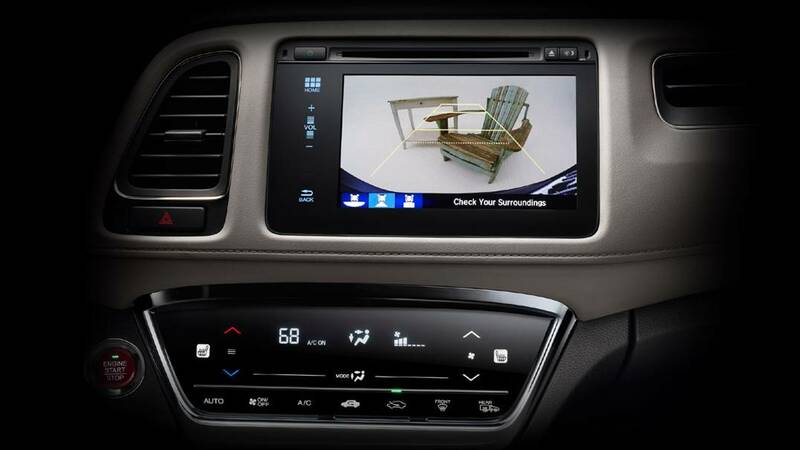 Bluetooth® Streaming Audio, Bluetooth® HandsFreeLink®, a five-inch color LCD screen, and a multi-angle rear view camera also come standard to aid in keeping you comfortable and connected. Don’t just take our word for it. View ourOnline Inventory or visit us at Airport Marina Honda today to get behind the wheel and take the 2016 Honda HR-V for a spin. We’re located at 5850 Centinela Avenue in Los Angeles, off the 405 freeway between Culver City and Inglewood. You’ll need to see it with your own eyes to believe it.